Since Netflix has become part of our lives, their original programming has changed how Zed and I watch t.v. Yes, we binge watch, but there are only a few shows that we binge watch like crackers and goat cheese. They are House of Cards, The OA, Ozark and Stranger Things. Besides the wicked children’s programming, these 4 shows are reason alone to subscribe to Netflix. I have always been a scaredy cat. Actually, those deserve capital letters. I am a full on Scaredy Cat. I didn’t think for one second that I would be able to handle Stranger Things. And truly, the only reason I even gave it a chance was because of it’s 1980’s feel. The clothes, the sayings, the marketing, the style. I can hardly wait the few nights of sleep left before season 2 begins. In fact, Zed and I are going to watch the last 2 episodes of Season 1 tonight so that we are all prepped for the next season which starts on October, 27th. The show is scary, but it’s not scary. If you are a total baby, like I am, you can do this. You can watch this. You can do it. I believe in you. I got your back, homespice. Let’s get our asses to the Upside Down. SIDENOTE: If you are really into Stranger Things, they have a game available to play on Google Play and iTunes for FREE! This post has been sponsored by Netflix Canada. 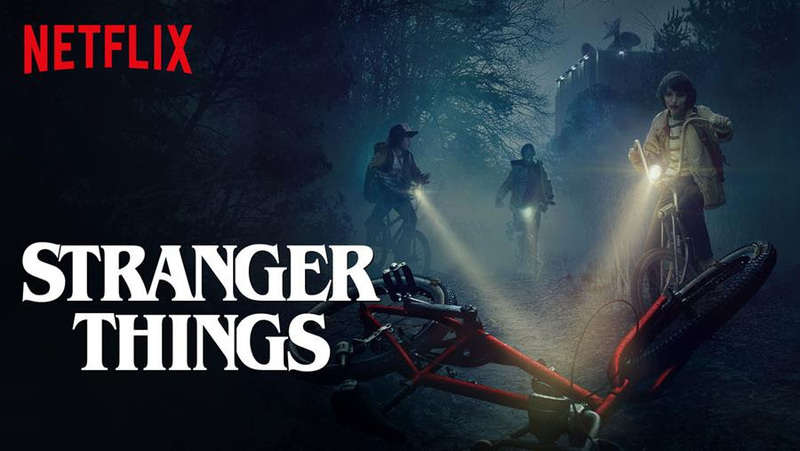 I am part of their Stream Team and receive perks for sharing my favourite Netflix shows with you.